Children spent their library time listening to Irish myths and legends. They particularly liked the one about the giant Fionn mac Cumhaill (Finn MacCool). 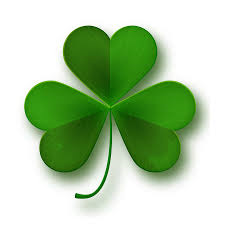 and singing 'When Irish Eyes are Smiling'. 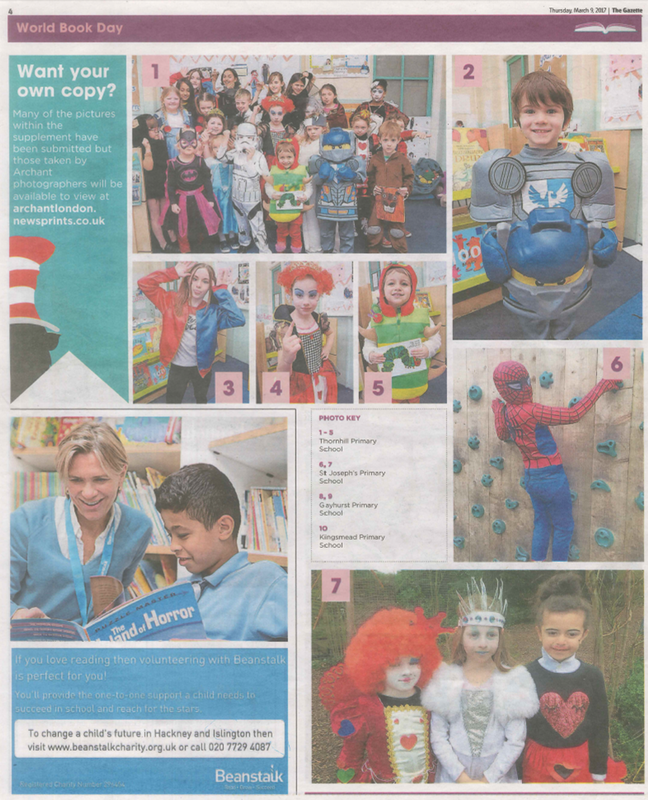 Some of our children appeared in the Islington Gazette's World Book Day feature showing pictures of children from many north London schools dressed-up as their favourite book characters to celebrate this special day. Years 1 and 2 this week. 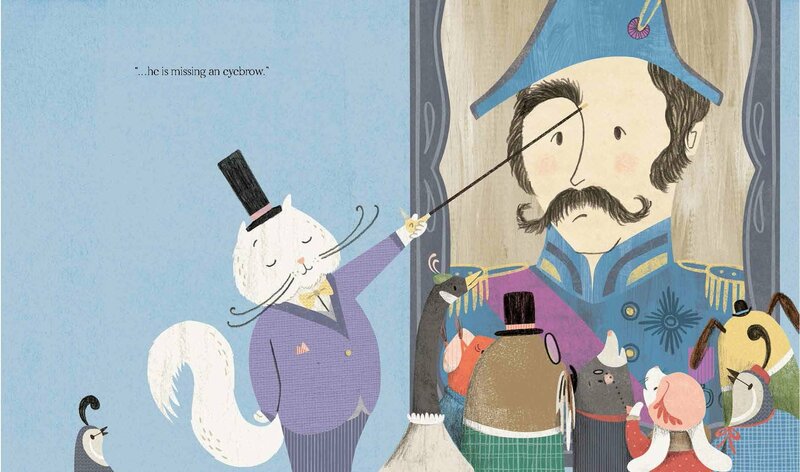 'Inspector Brunswick' is a funny and charming picture book about the world's greatest cat detective and his loyal assistant, Nelson. The children had a special ‘expressions’ drawing workshop from Angela Keoghan. They learnt how eyebrows alter facial expressions. Using Angela’s very own artwork they all got to try to make the Admiral’s expression change. The children made the face happy or sad, inquisitive or surprised, cheeky or sneaky. So much fun! Both children and staff had a fabulous time. Thank you to the authors, Tate Publishing and Pickled Pepper Books for organising the event for us. 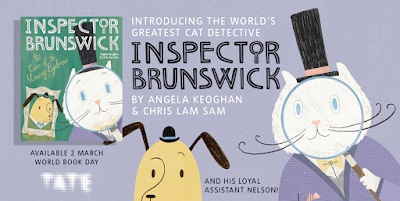 We are delighted to inform you that the fantastic author and illustrator duo, Angela Keoghan and Chris Lam Sam, will be visiting our school on Thursday 9th March as organised in conjunction with Tate Publishing and Pickled Pepper Books, Crouch End. 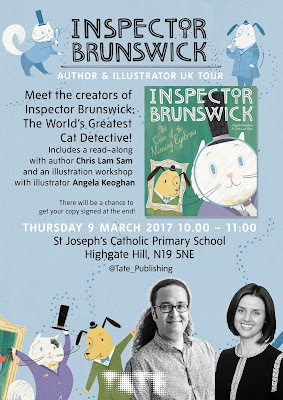 They will be reading from their newly published book, ‘Inspector Brunswick: The Case of the Missing Eyebrow’ and holding a workshop with Years 1 and 2. Afterwards there will be a chance to purchase the book which will be personally signed by the authors. 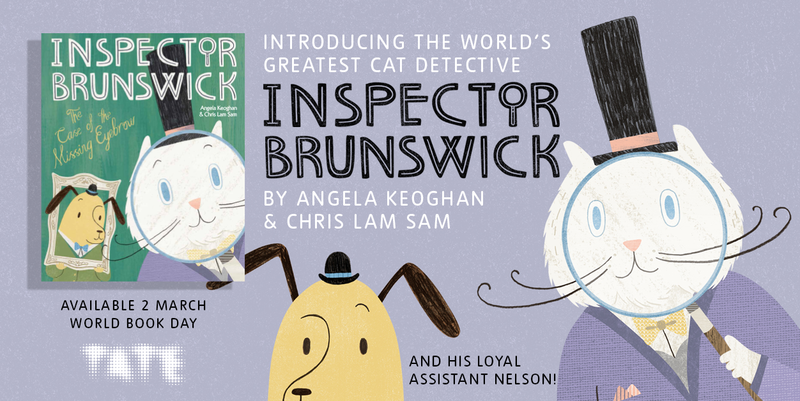 Angela Keoghan is an award-winning illustrator and Chris Lam Sam is a well-known author and entertainer. They are both based in New Zealand. It is suitable for age 5+ readers. Don’t miss out on this unique opportunity to purchase a signed copy. If you wish to purchase the books in advance please pay using ParentPay and complete and return the payment slip to the office (email replies accepted) by Wednesday 8th March. 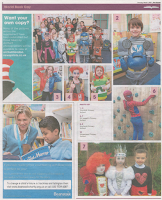 If you wish to purchase the book with cash please send in with your child the exact money and completed payment slip, in a sealed envelope clearly marked with name and class, on Thursday 9th March. CASH SHOULD NOT BE BROUGHT IN BEFORE THIS DATE. 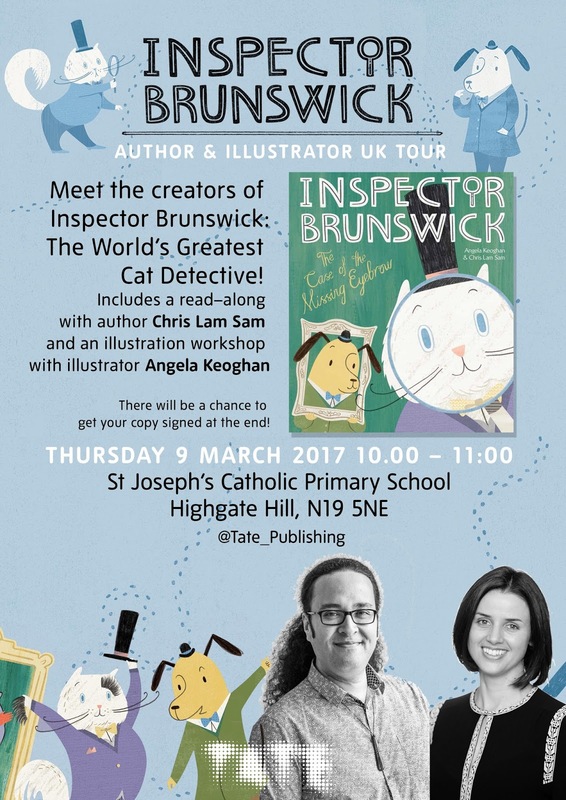 We are, indeed, very privileged to have Angela Keoghan and Chris Sam Lam visit our school and we hope that you will support this event.